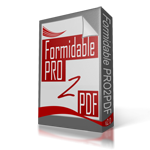 Is it possible for us to have one FormidablePro form submission cause two different PDF files to get filled, and then have both of those PDF files attached to one email that automatically goes to the email address of the person who submitted the form? Yes. Create two field map layouts for the same form with the Attach To Email options to YES. The plugin will send ALL field map PDFs to ALL email notification actions for the form. Refer to Formidable’s Email Notification support docs to send the email to the address of the person who submitted the form.